Bison latifrons is a possibility. Nice find, Gary. Thanks, John! Latifrons is what I'm considering as well based on size; but I can't find enough data on line to verify circumference of the base....if that even matters. All the images I find seem smaller in comparison. I would say that it is DEFINITELY a bison...the problem is...which ONE? Just based on size, Bison latifrons is not an unreasonable guess, but there was another big Bison species in the area...Bison priscus alaskensis (or Bison alaskensis or Bison chaneyi depending on who you listen to). Personally, just based on the relative straightness of the section of horn core that you have, I would lean more toward B. latifrons. Thanks for the data, Harry. 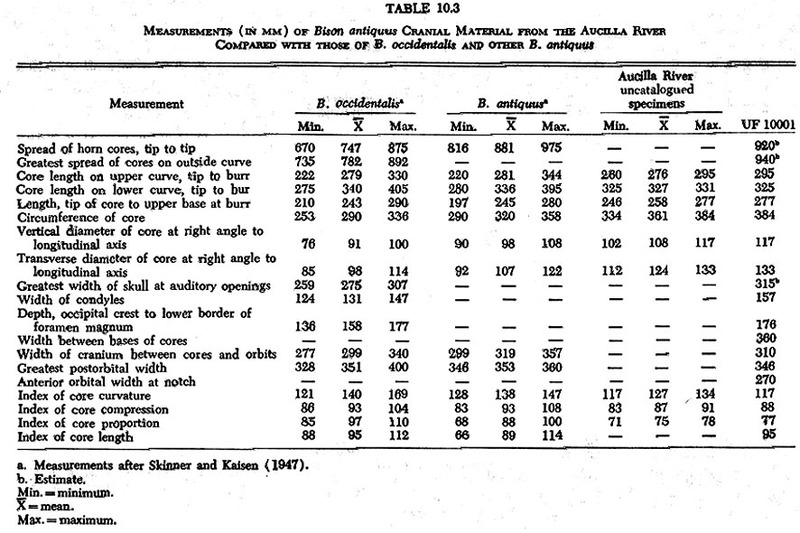 The circumference of mine is 381mm which is larger than the B. antiquus in the tables. I'm leaning toward latifrons. Wow! A B. latifrons is on my bucket list. Congrats on a rare find!